Since I travel to Japan every so often, I have friends who think I can offer advice to them as they plan their trips to Japan. When they call on me, I love to organize what I call a “Japan meeting” at my house. 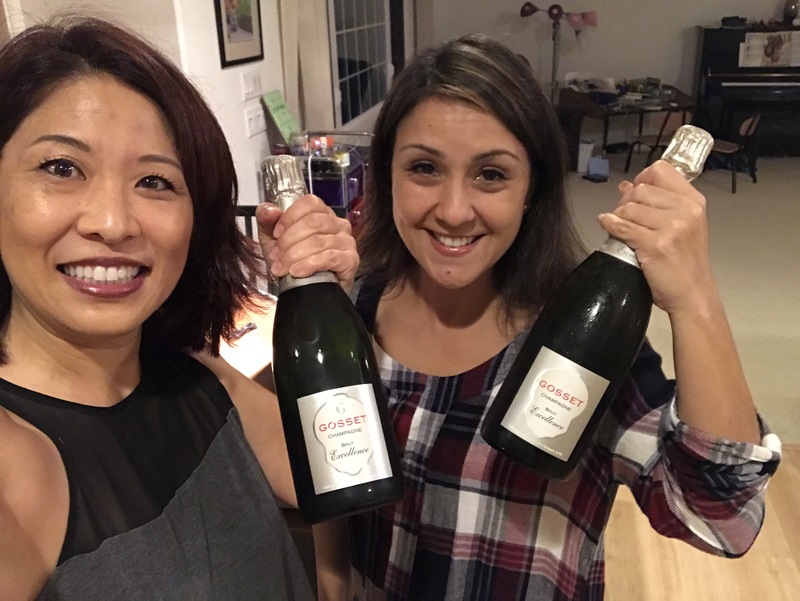 I invite friends who have knowledge of Japan, we get together with some potluck food, have some sake, and talk about what to do, what to eat, and how to get around in Japan. In addition to the human friends I had over on this night, my dog also had some company. 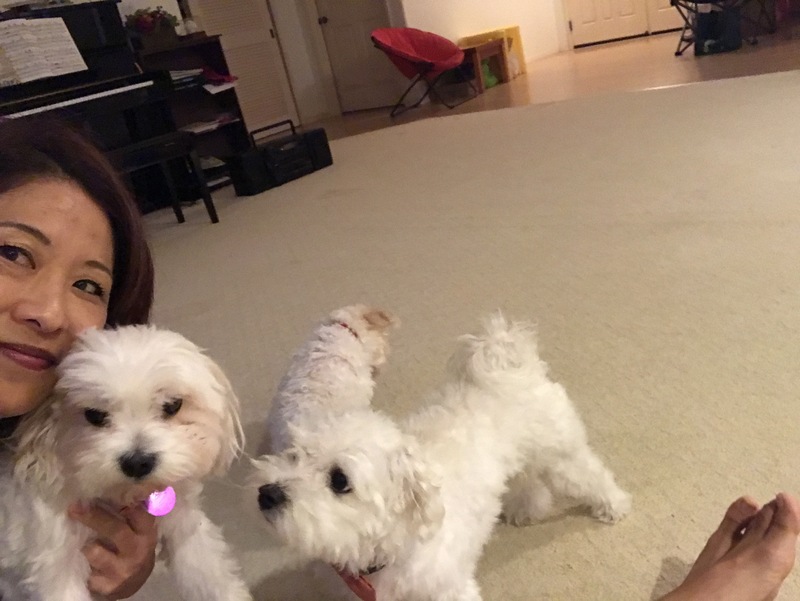 It was an house filled with energetic and happy humans and canines. My friend came over with the clam dip and chips that I requested from her. This clam dip is amazing and is a hit at all our parties! She also brought a bottle of bubbly–coincidentally, it was the same bottle that I also chilled for this evening! Earlier this week, I received my community-supported agriculture bag of produce from the Hawaii Food Basket. Supporting local formers, eating local products, getting things I may not see or buy when I go shopping at KTA. 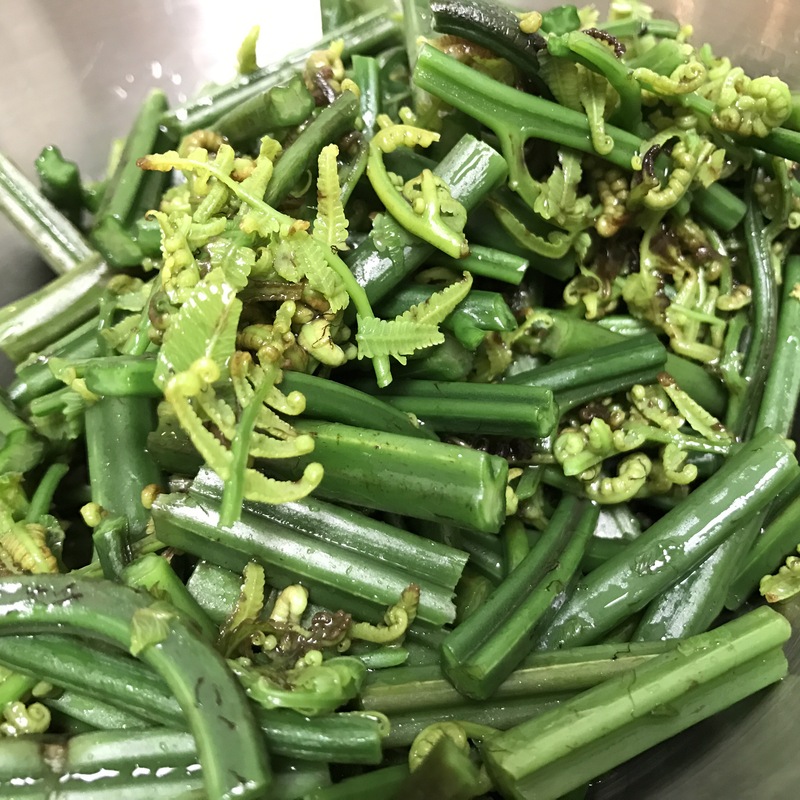 This week, I got a bunch of warabi (fiddlehead fern) and a newsletter that shared a recipe for one of my favorite dishes–warabi salad. Like all the other recipes I like, it is easy. It just requires chopping and mixing. Just wash, chop, and parboil the warabi. Put into an ice bath after removing from heat. 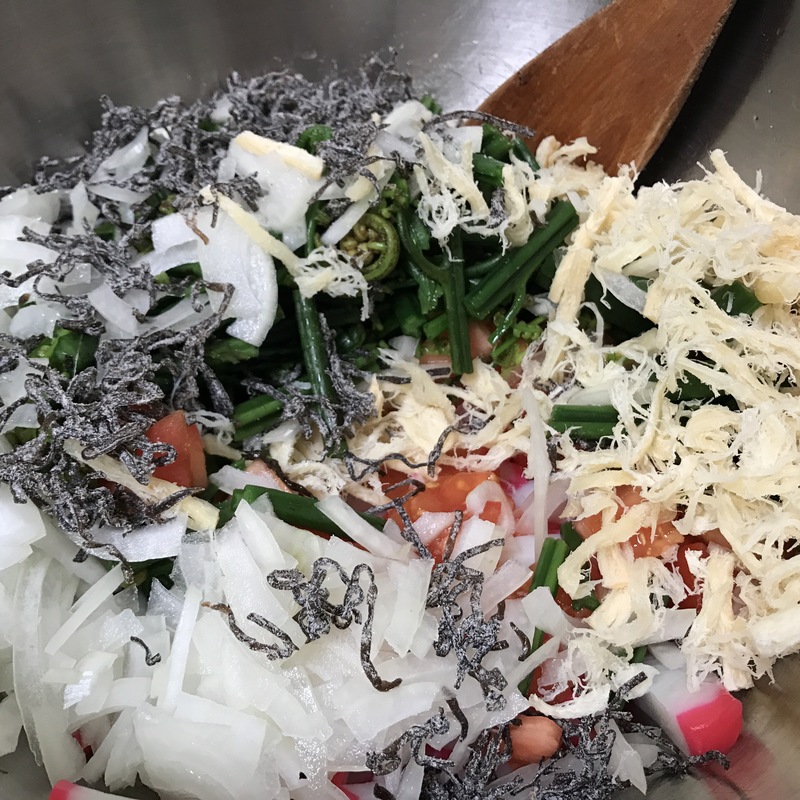 Chop tomatoes, onions, and kamaboko. Some recipes call for dried cuttlefish. I added some in this time, but my daughter requested that I not include this ingredient the next time I make it. 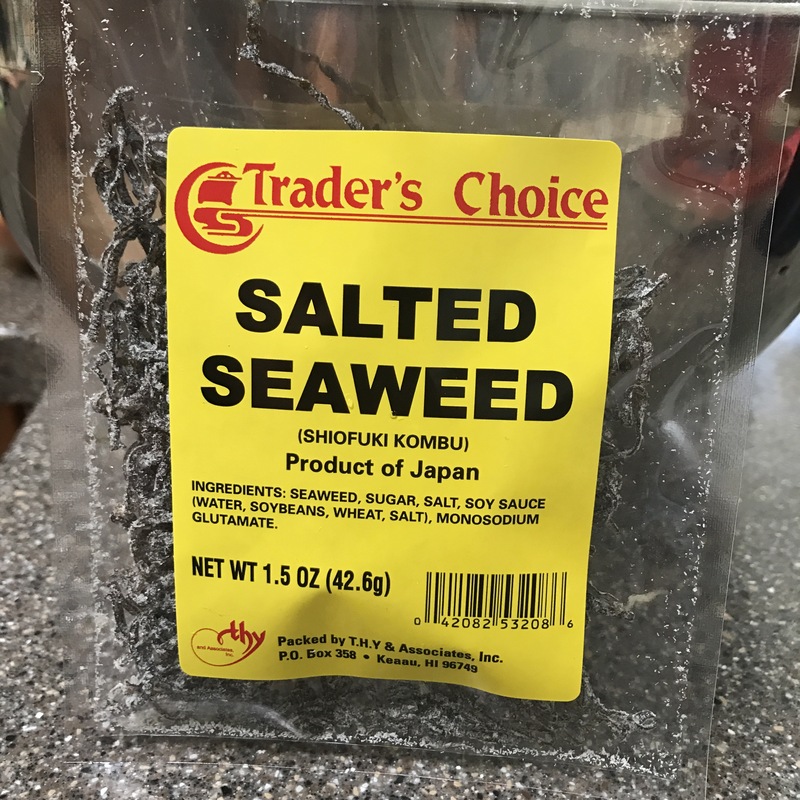 I added a package of shiofuki konbu (salted seaweed) to the mixture. 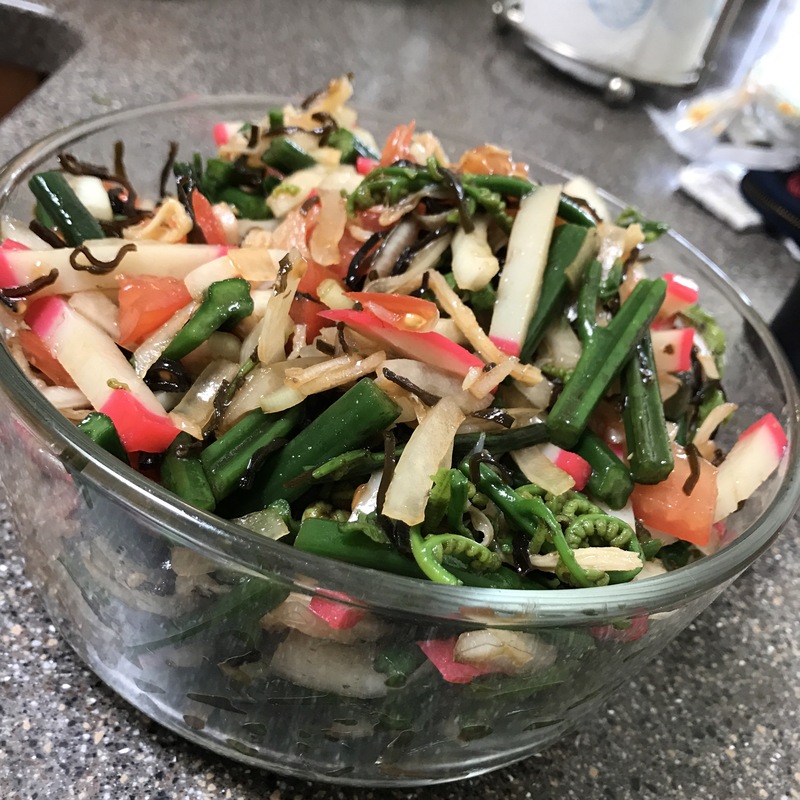 I mixed it up with some sesame oil and shoyu and you have a colorful and healthy dish to serve at your next potluck. If you want to try making it, here is a recipe you can try. (http://www.cookinghawaiianstyle.com/hawaiian-recipes/recipe-category/recipes/detail/1076/island-warabi-salad) We were having so much fun, I forgot to take pictures of the rest of the people and the awesome assortment of food we had. Shucks! Here are a few pictures I got before I completely forgot I owned a camera! Living Hilo Style.